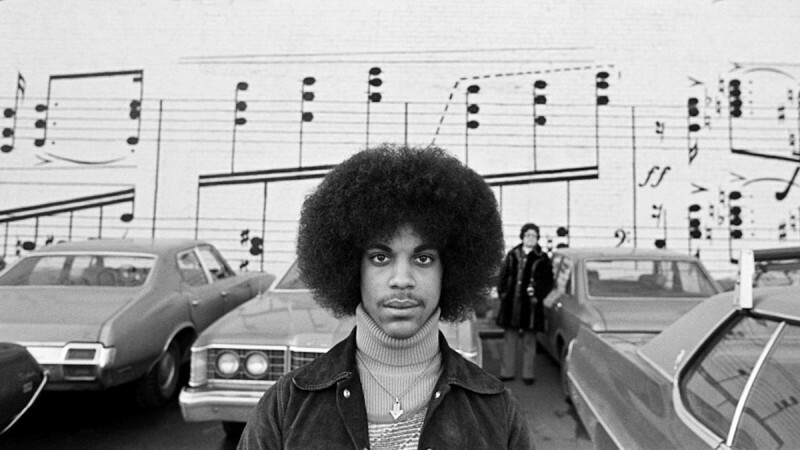 Probably all of you remember that, some months ago, there was an exhibition of stunning Prince pictures at the very beginning of his career (1977), taken by the photographer Robert Whitman. It was extensively discussed at this thread, and there was a high interest, given these pictures were unseen at that time, and besides, they showed an unknown side of Prince, quite different from the one we are used to see. The interest on such pictures induced a lovely quaker (who prefers to remain unmentioned) to contact Robert Whitman for an interview, trying to get some background information on the photography sessions that yielded the pictures showed at this exhibition. Herafter you have the result of this interview; we thank a lot Robert Whitman for agreeing to do this interview, and also to the nice anonymous quaker for all the effort (I know it was a hard job) required to make this happen. We really appreciate your work for this! I’d like also to thank Stigma Style, who discovered this wonderful exhibition back in January 2007. Ok, that’s it. We hope you will enjoy reading this interview! – And at that point I had long hair and a beard, and didn’t want a hair-cut for a job. How did this photo shoot with Prince come about? What were the photos going to be used for? Were any of the photos used by Prince? At the time the photographs were taken, did you have the feeling that Prince was going to go on to become a superstar? What were your impressions of him? I thought he was so extremely talented, really amazing, but you know I was a photographer… I didn’t know that much about the [music] industry…but I’d never seen anybody so excited (Note: He means his friends in the music industry (Owen & Gary) were really excited about Prince. )… My friends were in the music industry, so I assumed…but they also had people who just came and went, you never know [who’s going to “make it big”]. Going to see him play, he was very pleasant but aloof. He was a young kid at the time. I think he was 17, and I think I was like 30. I started taking photographs when I was three…no, really I was 25, 26—probably 27 or 28. Did you and Prince ever cross paths after you both made it big? First of all, many of my friends were in his original group, it was called The Revolution or something. I saw him once in LaGuardia airport when I was in New York, and I was on the phone and he walked by me and said, “Hey Whitman, how are you?” and within two minutes the whole LaGuardia airport was surrounding me and going, “Was that Prince?” But by then he was gone. That was probably 15 years ago. Yeah, but I don’t really listen to any cds anymore, I listen to satellite radio. Which photo(s) is your favorite and why? 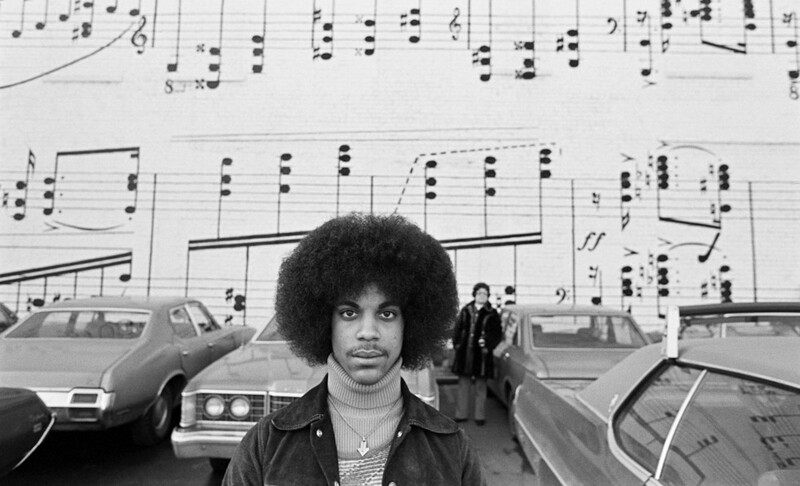 Oh, I love the one in front of the wall at the music store, it’s called the Schmidt music company in Minneapolis, and I really love that picture because it’s really from that time and he really looks interesting and there are old cars in the background and a woman standing in the background. Also some of the headshots I did with the backlighting…and some where he’s just having fun on the street…and I think there’s one where he’s giving the picture the finger. Looking back on these pictures, my style is still very similar…very real, trying to capture a moment. Being a young photographer, I was still trying to develop my style in those days. Some of the proof sheets that were also on display at the gallery have certain shots circled in red—were those your choices or Prince’s? Were there any of the shots that Prince particularly liked (or disliked)? You know to be honest with you I can’t remember, I’m sure they [Prince’s managers] showed him the photos from the shoot and the ones they were going to put in the brochure, and I assumed that he liked them. I shot him 3 or 4 different times, and each time I showed him the photos and it seemed like he was pretty pleased. Who came up with the concept for the shoot? It was the manager, and myself, probably. We had discussed ideas…like one of the shots was at the manager’s house, and some were on the street…and we shot at the music store and my studio. You know, I had a little hole in the wall studio in those days. 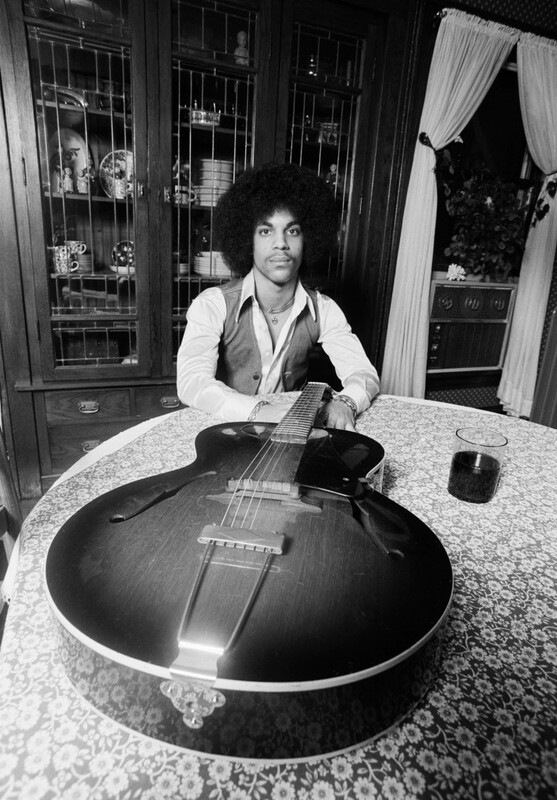 Do you recall at whose house the photo of Prince at the piano and at the table with a guitar was taken? A technical question: what type of camera, equipment, film, etc. did you use for these photos? I’m sure it was a Nikon 35 mm camera, and it was Tri-Ex black and white film, which I still use today. How long was the shoot (days, weeks)? We shot about 3—4 different times. Circa ‘78 – I’m not exactly sure, it was ‘77, ‘78 – right around that time. How much film was shot? A lot. Altogether I have 17 rolls of film, over a period of 3-4 photo shoots. Thirty-six exposure rolls. The bio on your website (www.robertwhitman.com) states that you were Prince’s “first principal photographer.” Did you do any other photo shoots with Prince that we might be familiar with? No. That’s all I did of him. 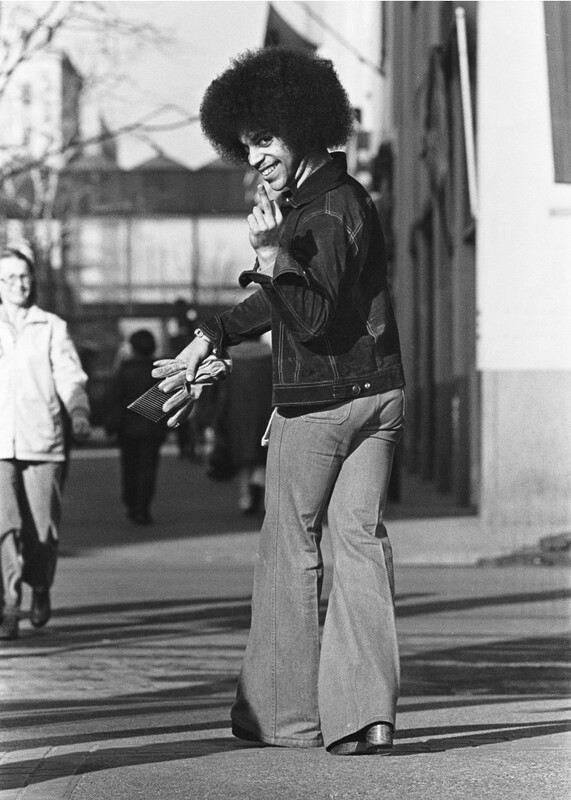 Even in these early photographs we see the genesis of the later style you are known for—this ability to “capture elusive moments whether in a studio or on the street.” Were these moments easy to capture with Prince? I’m particularly thinking of the photo where he is walking down the street flipping off the camera. Was he having fun? He was very willing to do what we tried to do. How did this show at the Black and White Gallery (blackandwhiteartgallery.com) come about? 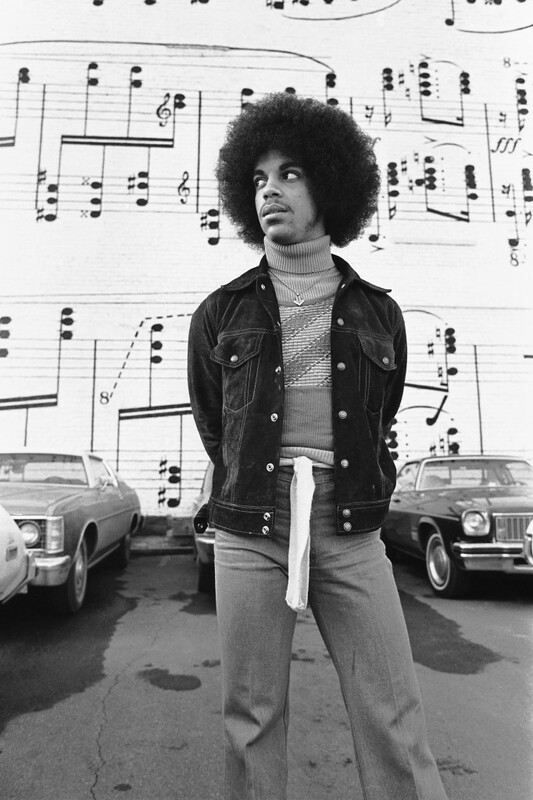 I have this picture of him in front of the wall, and I know the gallery owner, and I really love this photograph of Prince, and it was her birthday, and I had this nice little black and white print, so I thought I would blow it up and give it to her, and she really went crazy for it, and wanted to do a show, so she came and looked at the proof sheets. These photos are roughly 30 years old, what made you decide to show them now as opposed a year like 1984 (when Purple Rain came out)? To be honest with you, she’s the one who thought about it; I never even considering displaying them or anything, I mean I like the pictures, but I hadn’t thought about it. I’m working on several different projects. I basically like traveling the world, and figuring out what inspires me. I’m working on 5-6 different projects that could lead to a book or a gallery show. Monday I’m leaving for Moscow. I’m going to do a shoot of some famous restaurants and Russian baths (for Departures magazine – part of Amex publishing). Any additional comments you’d like to add? Not really. These had just been sitting in the drawer for all these years, and it was really nice to see how I started, and how he started, and having them displayed in the gallery. I am a Spanish guy who was always a music lover (despite having no music playback device at home when I was a kid). I became a crazy Prince fan in 1987, straight after listening to "If I was your girlfriend" for the first time, on "Rock 3" (a radio show). For years I knew nobody sharing my love for Prince music. Then internet came to rescue me: I discovered the Prince Mailing List, then other resources. And finally in early 2004 I found Housequake, which became my home in Princeland. I have closely followed Prince career since 1987, and written some articles focused on his music. 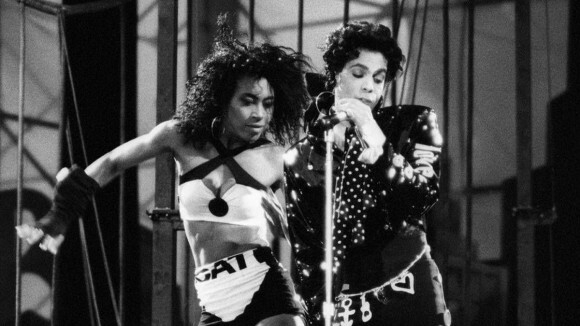 After a year in Prince's band New Power Generation, new motherhood and a following hiatus rad. returns with a new album named "East Babe" and currently a European Tour. But with much thanks to our fellow Housequake member Juize, we can now present an exclusive interview with Rad. Housequake is very proud to present an interview conducted with Alan Leeds, one of the persons with a deeper knowledge on Prince's career, and a fan of his music like all of us. We hope you will enjoy reading the interview! Would you mind helping out regarding the hosting costs of Housequake.com? We could use any help! Very much appreciated! Paypal donation.